There's a new Guardians of the Galaxy trailer out with a whole new feel to it. It's such a blatant change up from the musically marketed angle previously, plus now there's an ongoing list of what movies came from this studio, I can't help but wonder if tracking isn't looking so good for the movie? 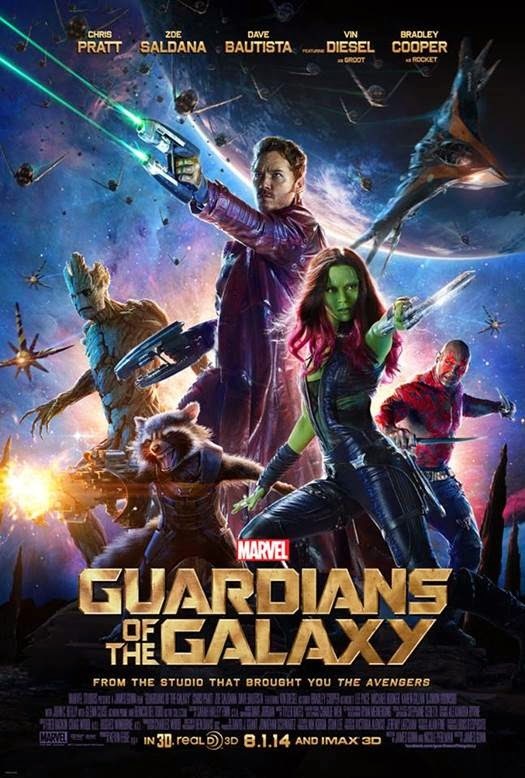 To be honest, before this movie was announced, I had never heard of the Guardians of the Galaxy. And when it was announced, I more or less thought "who cares?" This was a title I never followed or even knew existed. Now I'm a Marvel supporter, since they're doing it right and did it first (compared to DC Entertainment), and I had relegated myself to assuming I would probably see the movie. Dependent on movie reviews (of independent, non-punch drinking critics who don't need to fall within the standards of acceptable review behavior). So there's that. But with this new trailer, without the classic rock music to snap your associative attention with, well, it does look good. But then again, isn't all marketing designed to make the product look good, regardless? LOL. International Trailer for Guardians of the Galaxy on TrailerAddict. It does persuade me, that's for sure... but is it persuading you? Or the international market, where ticket prices cost more? We'll see. GotG comes out August 1st.